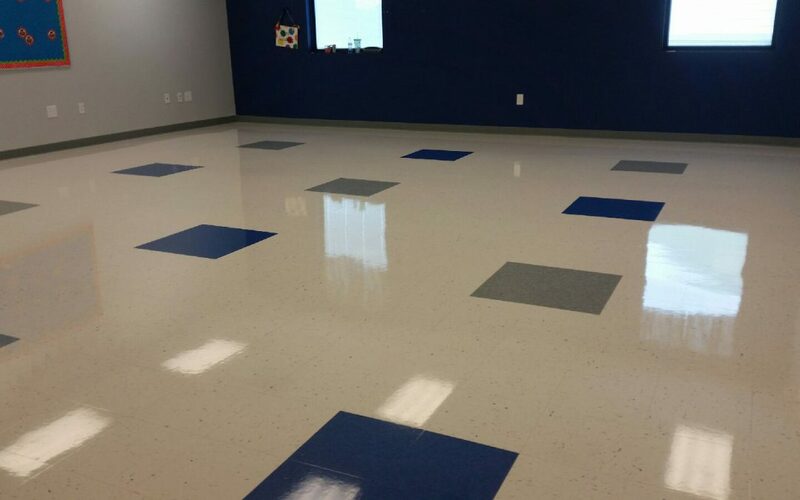 When some folks hear commercial cleaning for schools and daycares they probably think floor waxing and dusting. Both of those are important, but the greater concern the schools had was actually sanitizing surfaces. In cases of schools we’ve worked with before, the kitchen was a big focus. All of the meals for both students and staff are prepared there. Anyone who has worked with food professionally knows that even if the prep areas look clean, there are several pathogen-related concerns to be conscious of. In schools — particularly private schools where enrollment factors in more significantly — this is important to prevent illness and keep everyone healthy. The last thing a school wants is a reputation for food-borne illnesses or to be burdened by teachers and staff calling in sick regularly. Cooking appliances can be difficult to clean thoroughly, and kitchens often have nooks and crannies where grease and other materials build up. The school was concerned about those accumulations for safety, and knew they needed a solution to keep these surfaces cleaner. But cleanliness is only part of the equation in these cases. This was a strong use case for our eco-friendly cleaners that don’t contain harsh chemicals or odors. When it comes to food prep and also surfaces kids are going to touch, simply killing germs isn’t sufficient if it involves toxic solvents that would cause their own issues. With an environmentally friendly cleaning agent in use, the school could be confident that both food prep areas and places kids play and learn remain safe to touch. The other big area Carolina Services of the Triad helps to keep things sanitary is by using color-coded rags. It’s something you may see and think “What?” at first, but there’s a reason for it. Different colors correspond to various uses, so schools will never be in a situation where a rag that was just used to clean the bathroom is also being used accidentally in the kitchen or break rooms. It happens, which is why we insist upon the colors. Safety and hygiene go a long way toward a happy, productive learning environment. The best cleaning services are invisible — getting in and taking care of these factors, then leaving as little “footprint” as possible as far as things being moved or odors from cleaning agents. If you run a school or daycare in Winston Salem or surrounding areas and would like to learn more about how our eco-friendly cleaning can help your facility, give us a call today! 336-996-9883!